Review: An intense and fast-paced suspenseful thriller! At least that’s what Miss Hazel Hughes thinks. 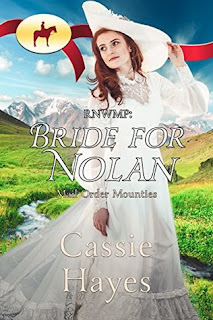 As a self-appointed Mountie matchmaker, she knows she’s found the right woman for one very hungry man when she meets professional chef Tilly Conway. Suffering from the fallout of a scandal that wasn’t her fault, Tilly finds herself jobless, homeless and…hopeless. When Miss Hazel offers her a chance to start a new life in British Columbia as a mail-order bride, Tilly lets fate decide her future. Despite the odds, Detective Ali Ryan put the man known as the Puppet Master behind bars. Another serial killer investigation has come to an end. It was time to celebrate . . . it was time for a vacation; that was her plan. However, one phone call changed everything when she learns Valentina Esposito was kidnapped shortly after arriving in New York. Ali Ryan is racing the clock. Will she be able to save the lieutenant’s daughter? Review: A fascinating suspenseful action thriller! 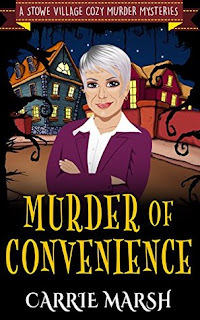 When the crime scene tape comes down, Gwen enlists the aid of a handsome co-worker with a background in construction to help her ready the house for sale and bolster her flagging courage. But every time they’re ready to put it back on the market, something goes horribly wrong. She must face old fears and new ones, temptations and buried truths. Gwen is determined to sell the dream house—or die trying. 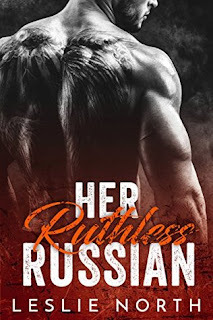 Born into a Russian Mafia family, Vlad Karev is no stranger to violence...but this time it's personal. 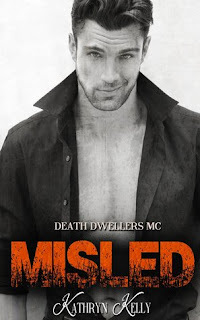 Someone has murdered his father and Vlad can't rest until he finds the killer. When the trail leads to an art gallery, Vlad wants to dig deeper, but he needs help from the owner's daughter. The pretty redhead is far too innocent for a man like Vlad, but he'll do what it takes to get the information he needs. His obligations are to the family, even if that means using the fiery woman. A bizarre misfortune… An insightful baroness… Is it truly an accident? Or could it be murder? Recently retired from public duties, Lady Marcie Winston-Browne has found a new purpose in assisting others. With a keen interest in village affairs and with no children of her own to speak of, Marcie - and her husband, Lord Harry Winston-Browne - are more than content to contribute to village life: they are, after all, godparents to half the tiny rural village of Stowe. Megan “Meggie” Foy has had a tough life. Her home life is nothing as it seems. Living with her mother and step-father is a complete nightmare. They seem to have the perfect little family, but appearances can be deceiving and monsters are closer than you think. When her body and mind can take no more abuse at the hands of her step-father, Meggie finally decides to run, hoping her father, MC President of the Death Dwellers’ Joseph "Boss" Foy, can save her and rescue her terrified mother from the clutches of her step-monster, before it's too late for them. When Dalton Sullivan takes a spill from a bronc at the last rodeo of the season, his life changes forever. Uncertain about his future, his fortunes take another turn when Grandpa Joe bequeaths him a dilapidated horse ranch in his will. Dalton's plans to refurbish the place and turn it into a working ranch again are interrupted when a beautiful woman shows up pretending to be someone she's not.